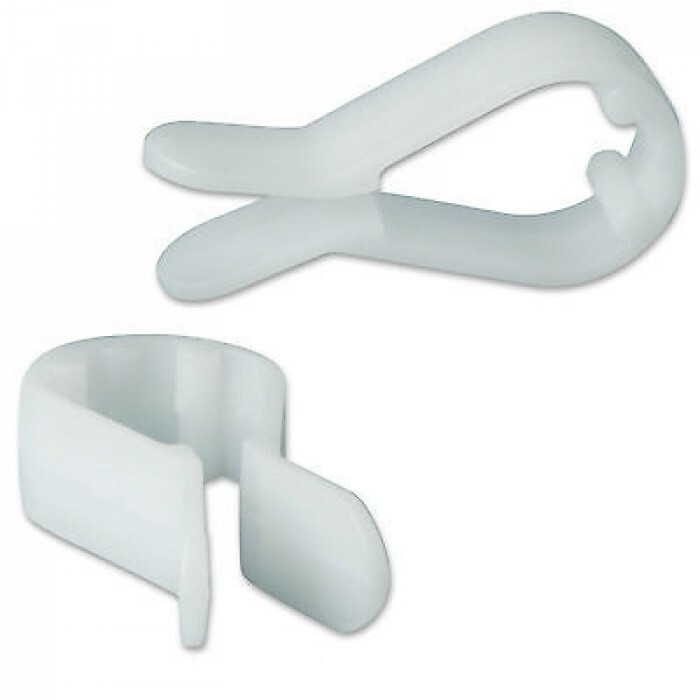 Plastic trouser hanger clips ideal for securing trousers to a hanger bar. Plastic trouser hanger clips in white or black. Perfect for securing trousers or similar items to a hanger bar that doesn't have clips. Also ideal for keeping multiple part garments together for example jackets and trousers or childrens outfits.